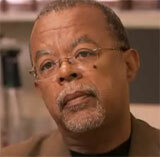 Wednesday: Henry Louis Gates Jr.'s revealing "African American Lives 2" airs on PBS. Plus: What did you think of the Super Tuesday TV coverage? Can you imagine seeing comedian Chris Rock shedding big, salty tears and speaking earnestly about the hopes and dreams he had when he was a kid? Harvard professor Henry Louis Gates Jr. works this magic in the documentary series "African American Lives 2" (premieres 9 p.m. EST on PBS, check listings). By revealing the genealogy of notable African-Americans from Morgan Freeman to Tina Turner, the show not only highlights African-American history, but demonstrates the satisfaction and pride that comes from learning about your ancestry. Now that "America's Next Top Model" is a big bore, at least we can look back at the good old days with "America's Next Top Model: Favorite Moments Part I" (8 p.m. EST on the CW). "America's Ballroom Challenge" (8 p.m. EST on PBS, check listings) continues with the rumba and the cha-cha, among others. A 5-year-old's outbursts are traced to his parents' disintegrating marriage on schadenfreude-fest "Supernanny" (9 p.m. EST on ABC), while "House" fans should enjoy tonight's profile of Hugh Laurie on "Biography" (9 p.m. EST on BIO). What did you think of the Super Tuesday TV coverage? Go here to discuss.